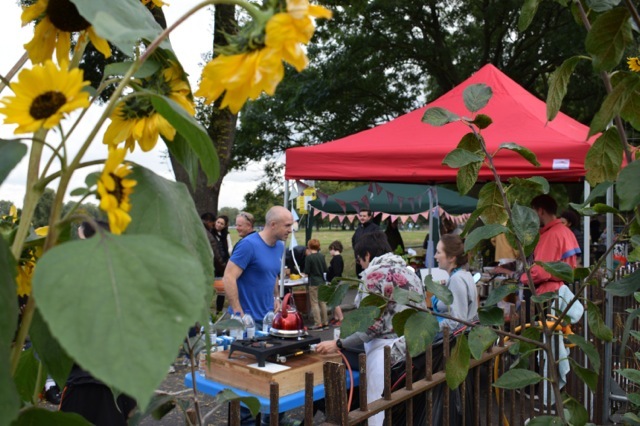 Lambeth Council helped us get a small section of Windmill Drive closed for the day so that people could move freely and safely between our Bandstand Beds growing space and the natural thinkers garden at The Spinney. In the suspended parking bays we were able to have stalls promoting community groups and organisations, as well as our own table displaying produce we have grown and preserved throughout the summer. 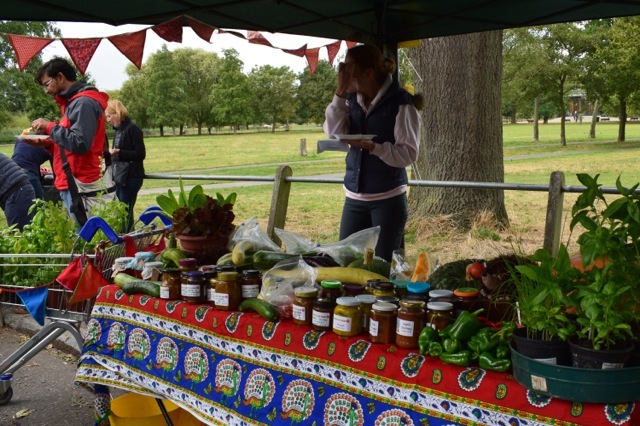 Pickles, jams and produce from Clapham Common! The event provided an excellent opportunity to bring people together to share food growing ideas and ways we might work in partnership together in the future. 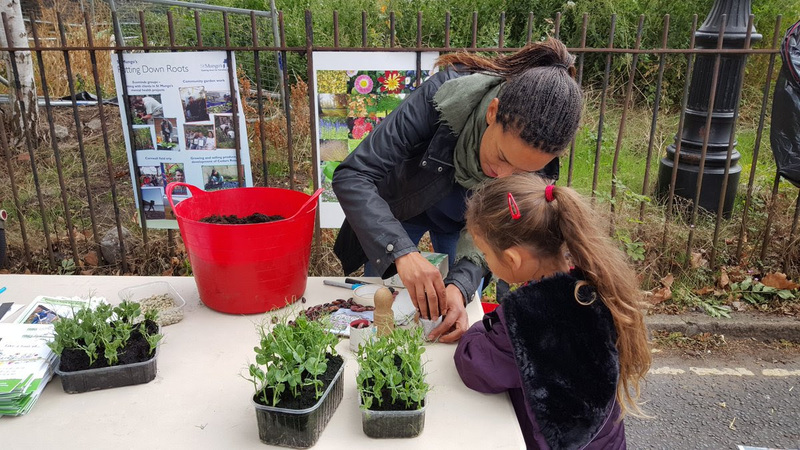 In between chats, Poppy from Lambeth’s Edible Living and Victoria from St Mungo’s also managed to share their gardening expertise with local residents and school children. We were also joined by Dr Bike’s cycle safe team who worked through the afternoon carrying out maintenance checks on bikes. 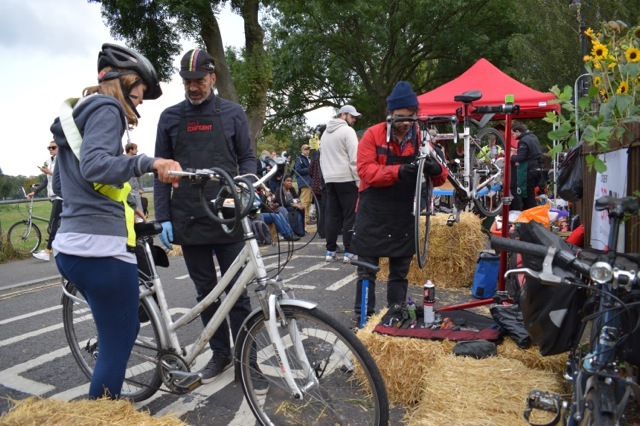 Those of us who’d cycled over to the feast were well impressed by the free service our bikes received. 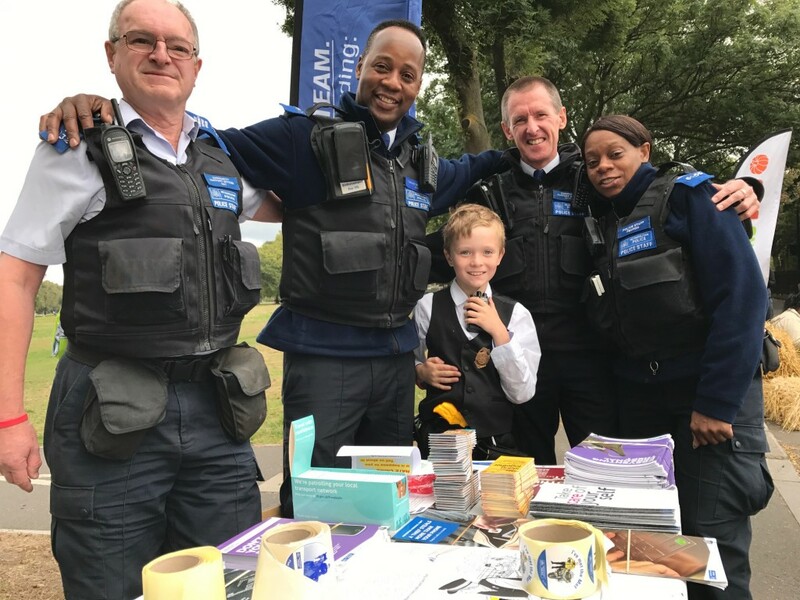 The Dr guys were joined by officers from Lambeth’s Safer Transport Team who were security tagging bikes, and also moved among the crowd to talk to people about National Hate Crime Awareness Week. 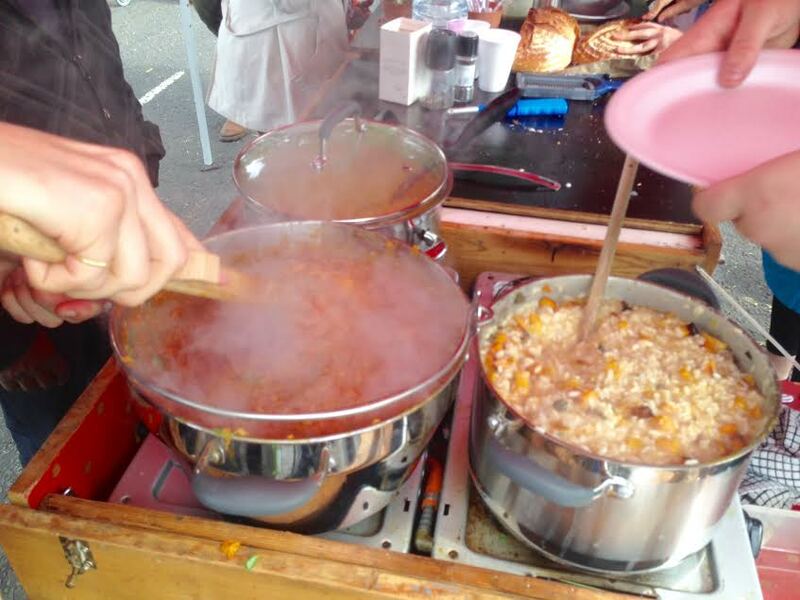 Despite there being so much going on, all eyes were on the event, the Brixton People’s Kitchen bike where a cookathon was taking place. Our talented team of BBeds chefs, Diana, Hatti, Conor, Will and Orla, were busily conjuring up some amazing food made with produce grown in our garden. On the menu we had Caramelised Pumpkin Dal, Butternut Pumpkin & Sage Risotto and Autumn Coconut Curry, served with salad that had been picked that morning and our own potatoes. Our aubergines were used to make baba ganoush, and runner beans made a yummy Turkish dish. Plus bread from the Old Post Office Bakery on Landor Road. Absolutely delicious! Before long there was quite a queue… and some people came back for seconds! 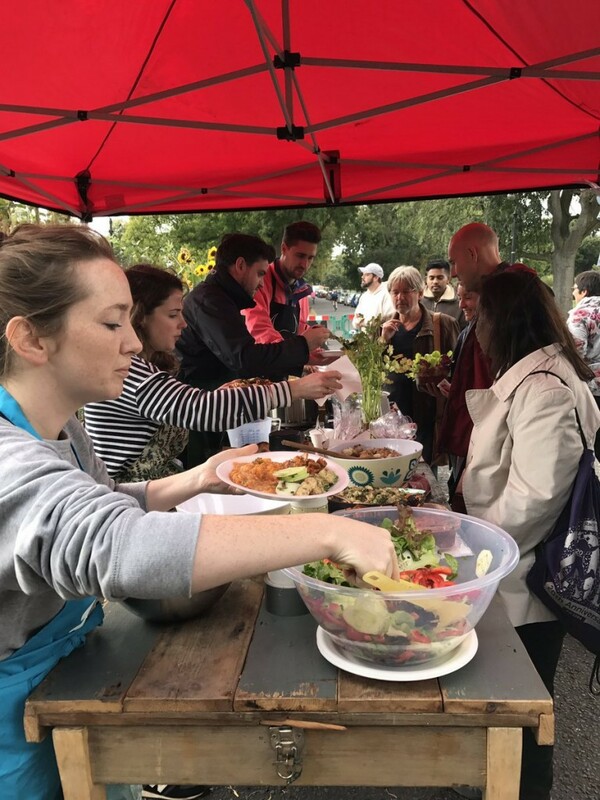 But it was wonderful to have so many people come along and enjoy our shared meal – even our friends from Wandsworth Vision joined us for the afternoon. We rounded the afternoon off with our raffle which had some fantastic prizes donated by local businesses, our members and their work colleagues. Through this, and other donations made on the day, we were able to cover our costs for the event, with a little leftover for help fund our future work. This really was a fantastic free community event! A big thank you to everyone who gave their time and energy to make it happen, and to all the lovely people who came along on the day and gave their support! Pest control, 15 October 2016: This two-hour session will make you familiar with common garden pests such as slugs, aphids, blight and pigeons. We’ll be looking at practical tools and strategies to overcome these unwanted visitors, and implementing some tried and tested techniques to help control them. 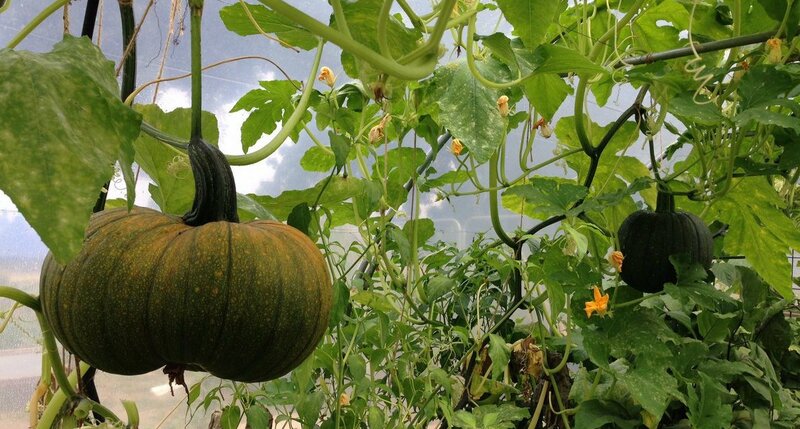 Winter veg, 5 November 2016: The workshop will explore what types of veg are suitable to grow late in the year, and those which can be planted from seed, or as young plants. In a practical exercise we will prepare the ground, sow and plant veg and plan how we will need to care for them as they become established. 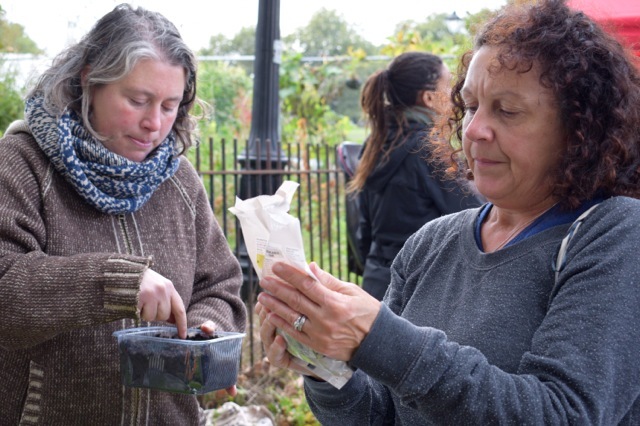 Soil and compost, 15 November 2016; We will examine what the components of good soil are, how we can keep it healthy for producing food and flowers, and how to improve it using different composting methods. We’ll explore techniques that are applicable on different scales, from our community garden to containers or pots on a balcony. Oct 13, 2016 | Posted by admin in Uncategorized | Comments Off on A feast full fun!